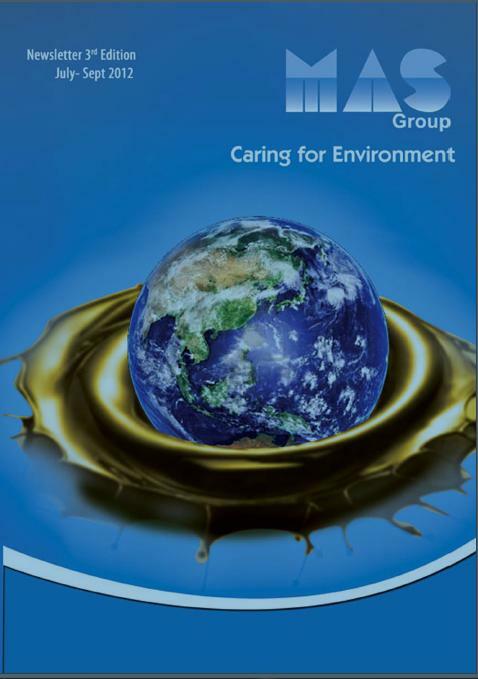 The 3rd Edition of 2012 MAS Group Newsletter is here and in this issue we are focusing on ‘Caring for the Environment’, the editorial team is becoming more and more involved to share the best of MAS Group with all stakeholders. This issue will bring exciting news to our diversified group of readers; business partners from around the globe, key business stakeholders for MAS associates, MAS Services, Hi Tech Lubricants , Sabra Hamida Trust and off course our valued Employees. Prime focus is to share the success stories of MAS Group and let them be the part of this growing network. Please share your valuable feedback for improvement and better appearance for upcoming editions.